Darla is a full length duchesse satin dress and silk organza coat, with vintage inspired 1930's diamante applique fastening. A beautiful silk organza overcoat makes this bridal gown supremely elegant. 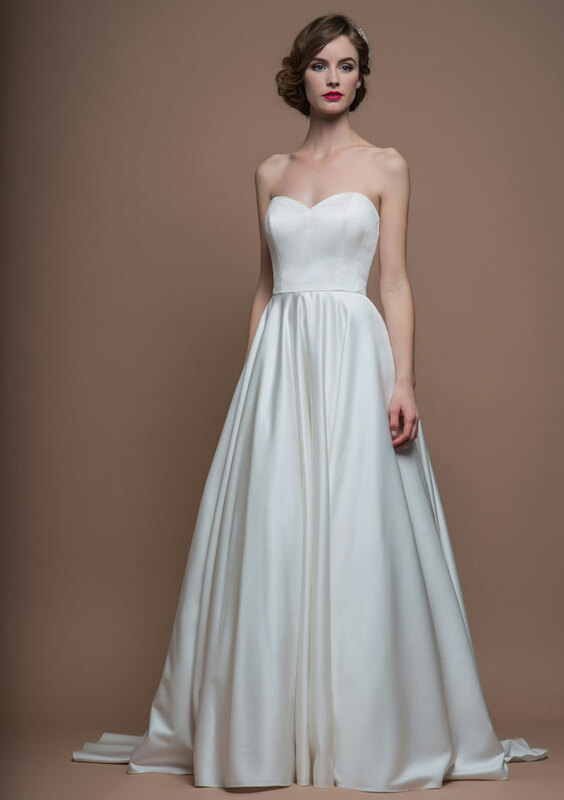 A simple satin wedding gown with a soft sweetheart neckline. The cap sleeves and semi transparent fabric on the Darla overcoat give a lovely light coverage. This bridal gown has a voluminous flowing train in satin and silk organza. This Lou Lou wedding dress is available to view in our London and York shops.